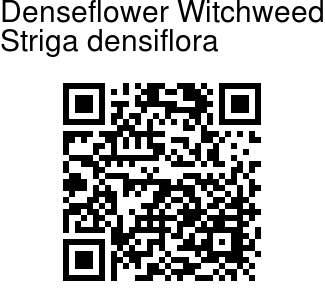 Denseflower Witchweed is a perennial herb, 25 cm tall, entirely hairy. Stems are erect and the leaf blade linear, about 1 cm. Flowers appear in lax spikes at branch ends; bracts longer than calyx. Calyx 5-6 mm, 5-ribbed; sepals nearly as long as tube, awn-shaped. Flower tube is about 1 cm, slightly curved above middle; upper lip notched. 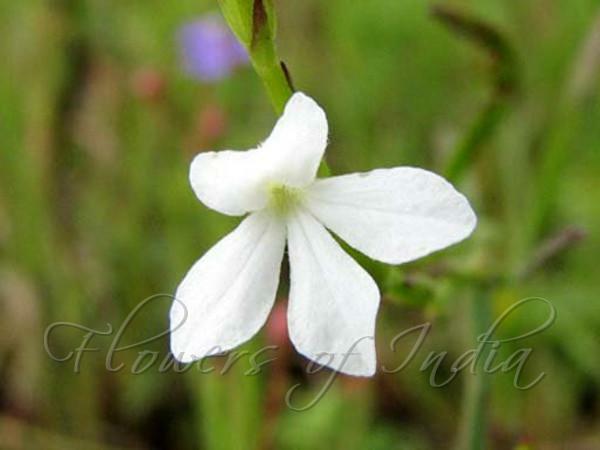 Denseflower Witchweed is found in the Western Ghats. Identification credit: Rahul Prabhu Khanolkar Photographed in Maharashtra & Karnataka.